CRS and The Edge Present Fun. 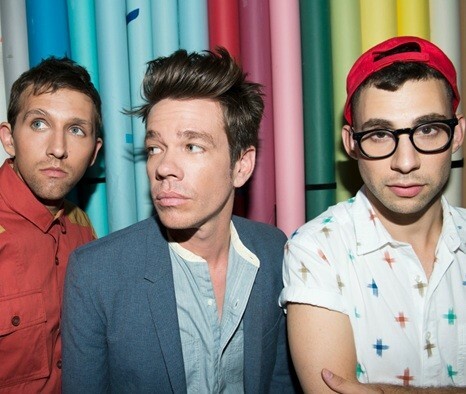 Having taken their quirky, melodic hooks and vintage pop to the top of the charts worldwide, Fun. bring their live show to Auckland for the first time. Tickets going on sale 9am Thursday 13 December. The group’s second album Some Nights has delivered multi-platinum sales and the massive hit singles “We Are Young” and “Some Nights”. The singles have reached #2 and #1 on the NZ Charts, with combined sales of nearly 100,000 copies in this country. Produced by hip-hop guru Jeff Bhasker (Kanye West, Beyonce, Jay-Z) Some Nights hurtled Fun.’s livewire indie power-pop tunes into a new direction that drew critics and fans onside. Rolling Stone called the album “gregarious as heck. Queen-style rock theatrics are welded to Kanye West beats... ‘Some Nights’ is a hoot: huge-sounding, packed with tunes and not lacking in humour." Fun. record on the Fueled By Ramen label, the eclectic punk rock inspired company that went from releasing Jimmy Eat World EPs to chart-toppers Fall Out Boy, Panic! At The Disco and Paramore. Like many of their labelmates, Fun.’s success is driven by a passionate engagement with their fans. The group has also enjoyed wide exposure across TV and radio, featuring everywhere from the Superbowl to Glee. Support from local act Kids of 88. Restaurants to book near CRS and The Edge Present Fun.